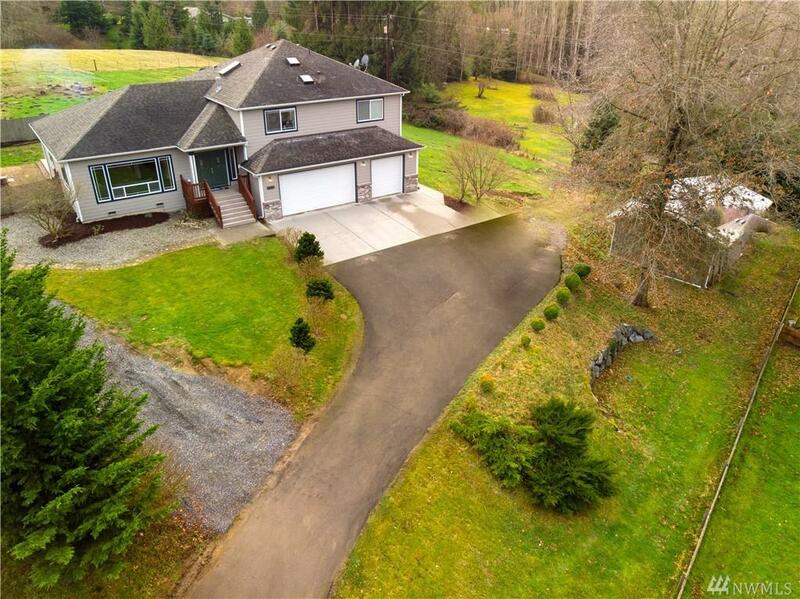 Country living & gorgeous Home on .66 Acre lot - at end of private drive. 3 car gar, large SHOP & RV pkg! Spacious living - 4 Bedrooms & 2 3/4 Baths, Living, Dining & Family Rooms. 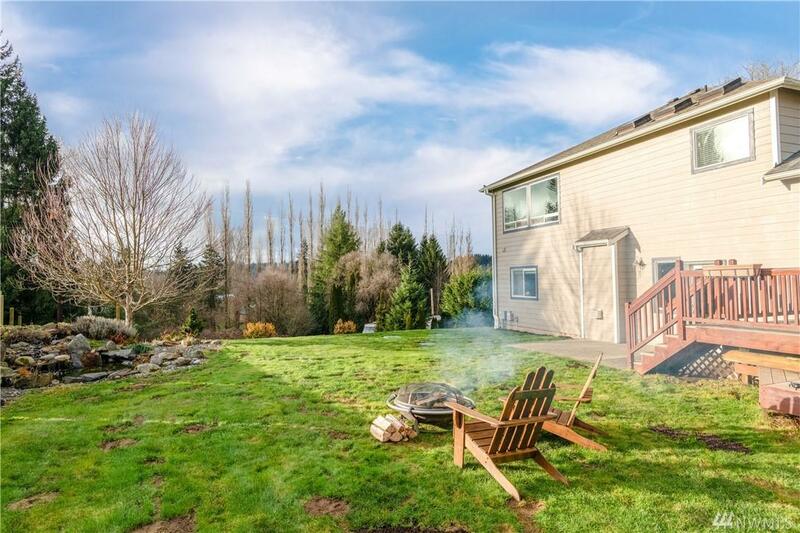 Hardwood floors, vaulted ceilings, many skylights, new carpet/paint +many upgrades. Gorgeous Kitchen w/ granite, skylights, bar. Large Master Bedroom w/ 5-pc Bath & skylights. 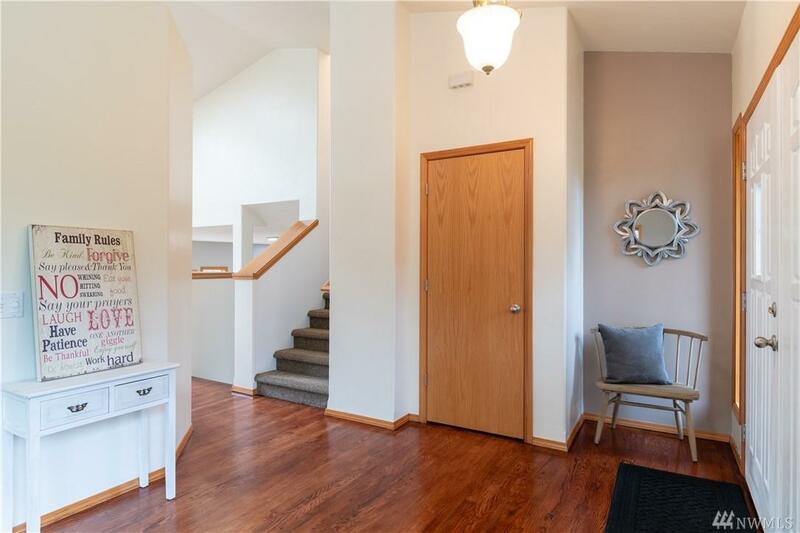 Bedrooms 2 & 3 w/ full bath, Bedroom #4 on lower level w/ own 3/4 bath (perfect Guest Suite). Deck, Patio, huge backyard. Welcome Home!